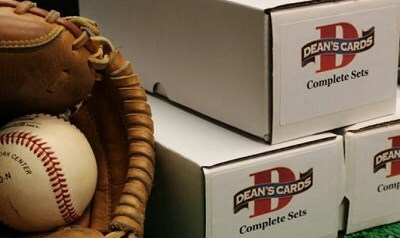 The 1955 Bowman Baseball Card Set was the last vintage set issued by the Bowman Gum Co. It contains 320 horizontally oriented cards that have a height of 2½" and a width of about 3¾". Due to lax production standards, the width of 1955 Bowman cards can vary by as much as 1/8" in either direction. The 1955 Bowman Baseball Cards feature a set of umpires interspersed throughout cards #226 to #317. The 1955 Bowman cards are easily recognized by the wood-grained television set framing each player's photograph. The high number series (225-320) is more difficult and expensive to collect. The only key rookie card in the 1955 Bowman set is #68 Elston Howard. Click here to read more about the 1955 Bowman umpire cards! Click here to read about our 1955 Bowman Cards! CLICK HERE if you want to sell your 1955 Bowman Baseball Cards. Showing 1 to 100 of 335 products.